Leo Liu Xuanqi (1977) is a contemporary artist currently residing in Singapore. He was awarded Platinum Award at the 31st UOB Singapore Painting of the Year Competition for his artwork “Wandering Cloud”. That same year, his piece “Whimsical Cloud” was also nominated for the Dr Tan Tsze Chor Art Award. A graduate in Art and Design from the University of Shanghai for Science and Technology (the former Shanghai Publishing and Printing College), Leo left his decade-long career as art director in the field of design and advertising to pursue art full-time. His work is an ongoing reflection of personal identity embedded within popular culture. In his "Cloud" series, Leo plays with the idea of permanence and the temporal, and explores the tension that arises at the crossroads of rapid globalization. 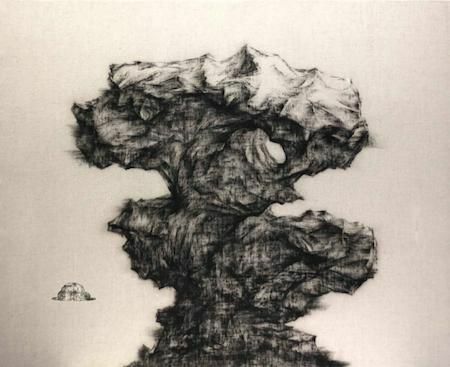 He held his first solo exhibition “Equilibrium” (2010) in Singapore and has maintained a consistent track record with shows in Hong Kong, Seoul, New York and Taipei. 2012 Platinum Award Winner of "The 31st UOB Singapore Painting of The Year Competition"
2008 Gold and Bronze Winner of "2008 International ARC Awards, Twenty-One Years Celebrating the World's Best Annual Reports"
2007 Bronze Winner of "2007 International ARC Awards, Twenty-One Years Celebrating the World's Best Annual Reports"
2004 Bronze Winner of "Suzhou Impression International Poster Exhibition"